Connecticut gets mixed reviews for its economic performance, but a blockbuster corporate expansion unveiled last week has garnered more plaudits for the state’s third-largest city. Telecommunications titan Charter Communications’ announcement it would not only keep its headquarters in downtown Stamford, but also move to a planned 500,000-square-foot building at the Gateway Harbor Point complex, attests to Stamford’s perennial appeal to major corporations. The Charter deal confirms many business leaders and public officials’ belief in Stamford as an exemplar for urban economic growth in a state hit by high-profile corporate departures in recent years. “There are some naysayers around the state, but if you look at companies like Charter and Henkel and look at the growth of employment in state, it would point to the fact that companies do find Connecticut a very good place to do business,” Catherine Smith, the state’s economic development commissioner, said in an interview last week. The Charter announcement follows a string of economic coups for Stamford in the past year. This summer, Henkel moved its North American consumer goods headquarters, from Scottsdale, Ariz., into the downtown BLT Financial Centre. Some 425 employees are working there, with the contingent set to rise to about 550 by the end of next year. In July, job-search firm Indeed announced it would hire another 500 employees in the coming years. 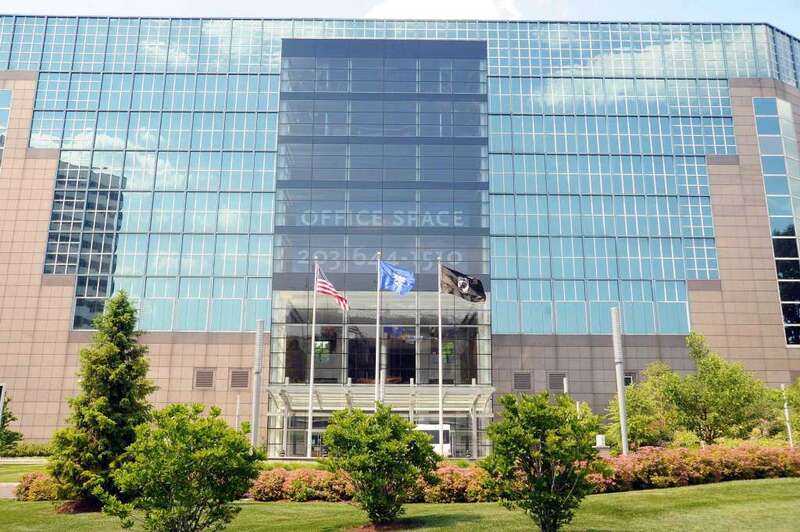 It already employs about 750 at its downtown hub at 177 Broad St.
A month earlier, sports marketing and talent representation firm Octagon moved its headquarters back to Stamford after a 13-year stint in Norwalk. About 275 people are working at the company’s new offices, at 290 Harbor Drive, in the city’s Shippan section. Unlike other major Connecticut cities such as Hartford and New Haven — which are respectively losing health insurer Aetna’s corporate headquarters to Manhattan and biotech firm Alexion Pharmaceuticals’ operations to Boston — Stamford has mostly avoided conspicuous defections. Royal Bank of Scotland, UBS and Marriott International have cumulatively shed hundreds of local jobs in recent years. But their retrenchment does not appear to reflect dissatisfaction with Stamford as a place to do business. Support from Hartford has played a significant role in helping Stamford to attract and retain companies like Charter. The country’s second-largest cable provider and six other companies with headquarters or major offices in Stamford are participating in the state Department of Economic and Community Development’s marquee incentives program, First Five Plus. No other city in the state has more than two companies in the program. If Charter fulfills its plan of creating 1,100 headquarters positions after March 2016, and then keeps all those jobs for at least two years, the company would receive full forgiveness on a $10 million DECD loan. The company is also receiving up to $10 million in tax credits from the state for the headquarters project. Charter’s aid and other recently announced corporate subsidies have tended to involve less state money than deals approved at the start of Gov. Dannel P. Malloy’s nearly seven-year tenure. Henkel would receive $20 million for the opening and growth of its Stamford hub. Indeed is not receiving First Five Plus funds, but it is in line to receive from the state a $7 million loan and up to $15 million in tax credits for its headquarters expansion. While the state’s other major cities cannot replicate Stamford’s proximity to New York, they can each pitch strengths to corporations looking for space. Hartford continues to market itself as an insurance capital. Danbury is located within a manufacturing corridor that is home to firms such as industrial-gases powerhouse Praxair. Bridgeport’s available real estate make it amenable to large-scale developments, such as MGM’s proposed waterfront casino. Along with the Stamford area, the Hartford region was selected last week as a site for the state’s bid to host Amazon’s planned second headquarters. Bridgeport and New Haven plan to submit a separate joint proposal. The ability of Connecticut’s cities to keep and attract major companies would also benefit from faster transit times. McGee advocates for a “30-30-30” plan, which envisions 30-minute train commutes between Grand Central Terminal and Stamford, Stamford and New Haven and New Haven and Hartford.